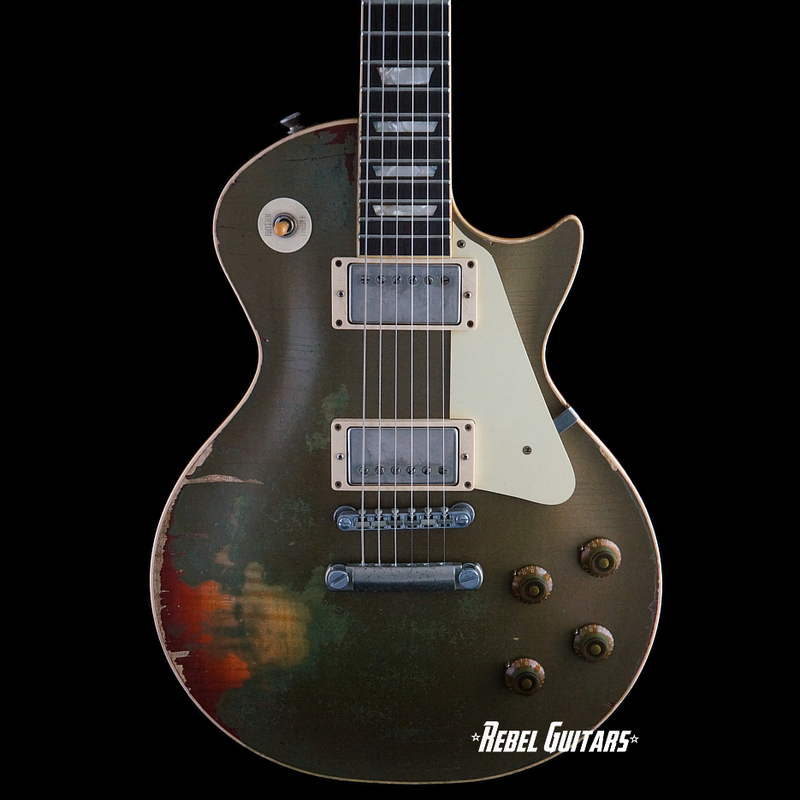 This Rock N’ Roll Relics Heartbreaker model features a bound 4A Flame Maple top with an African Mahogany body and neck, bound Macassar Ebony fingerboard, trapezoid inlays and a setneck construction. 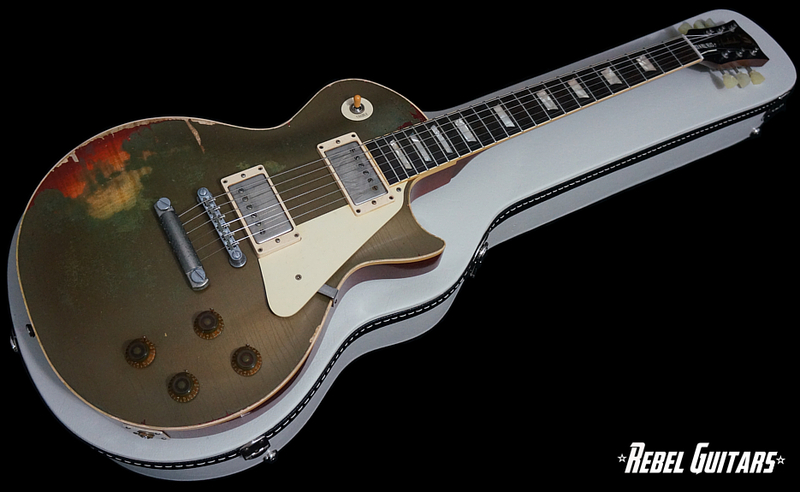 Finished in a beautiful aged Goldtop over Burst nitro finish. 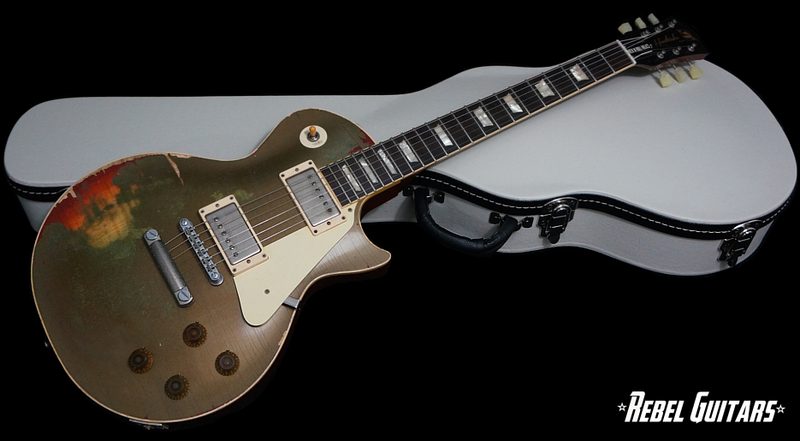 Mojo Tone ’59 Clone humbuckers Kluson tuners and Advance Plating bridge complete the package. 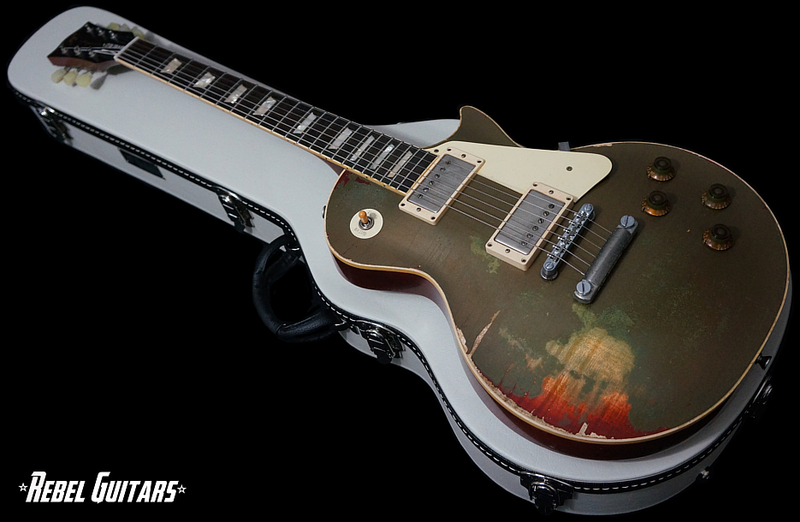 Comes with a new style black & white G&G custom hardshell case and signed COA.